I just wrapped up week one of the 21 Day Fix on Beachbody on Demand. I’ve done that program quite a few times and I love that I can fall back on it whenever I need fast results. I especially love that the workouts incorporate ab exercises into some of the rounds. Many of the Beachbody programs require you to do a second shorter ab workout in addition to the main workout for that day. I’m just gonna be honest and say that doesn’t happen with this girl. I typically only have 30 minutes to squeeze in the workout and that’s all I’m going to do. Every 21 Day Fix workout is thirty minutes and that fits the bill for me perfectly. When I’m on the Fix eating plan, I try to keep the green containers (vegetables) interesting so I don’t skip over them. 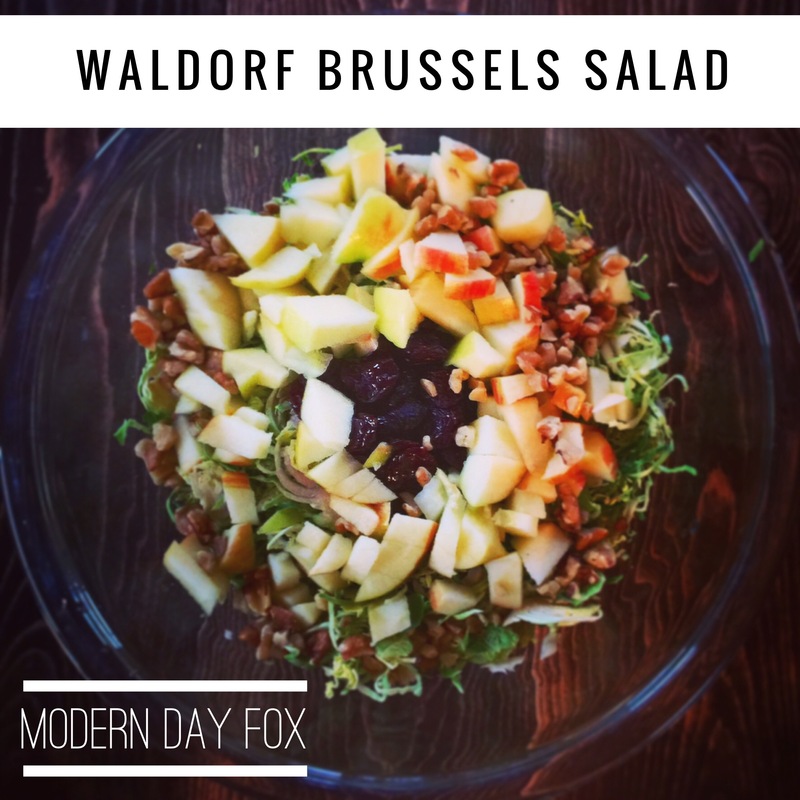 Since it is getting warmer outside, I’ve been craving raw salads so I threw together this light and fresh Waldorf Brussels Salad. 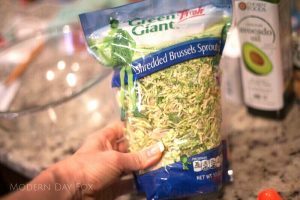 I used the shredded brussels sprouts so that you can now conveniently find in the produce section. If you can’t locate these, you can simply throw the Brussels Sprouts into your food processor to shred them. 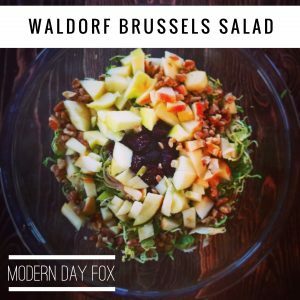 I hope you enjoy this unique salad as much as my family did! This post contains affiliate links for Beachbody as I am an active coach and firm believer in the Beachbody products. My proceeds from Beachbody directly support this blog! 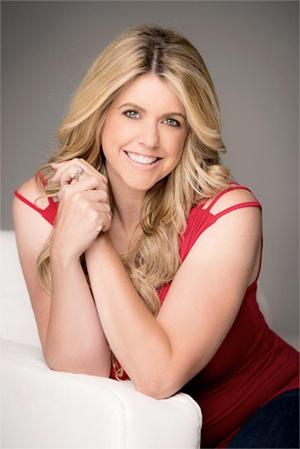 Join my monthly challenge group! 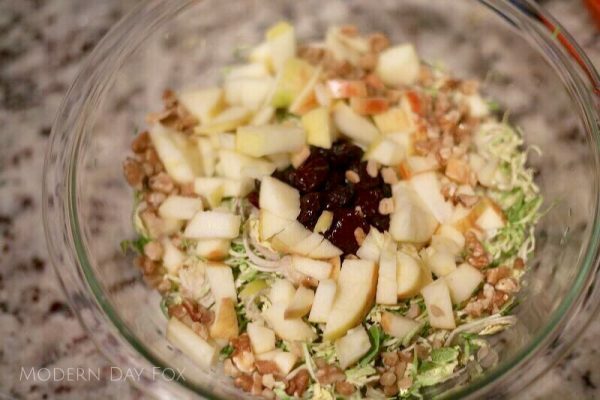 Toss salad ingredients together in a large bowl. 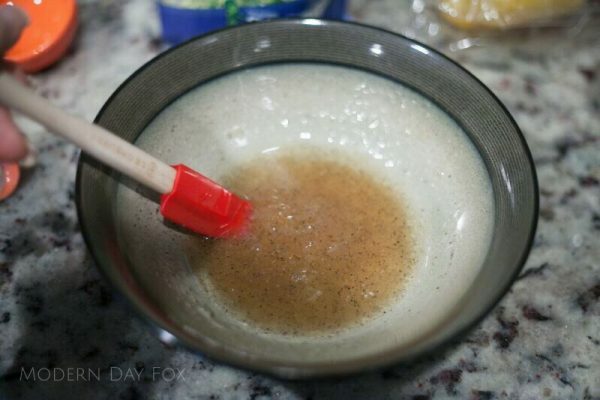 In a small bowl, whisk together dressing ingredients. 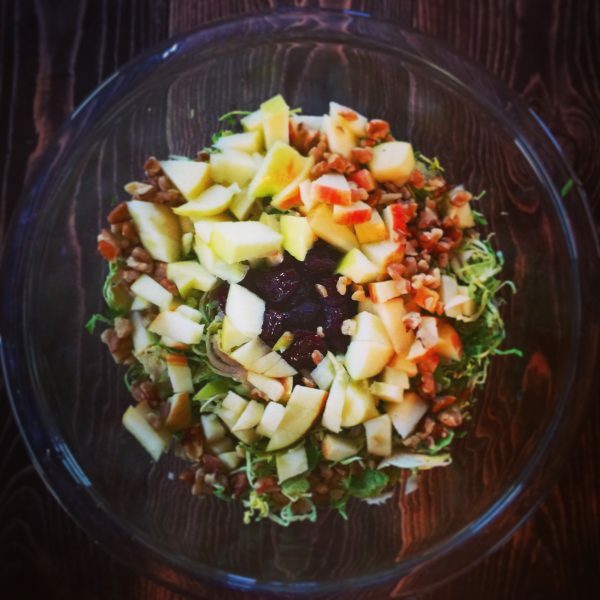 Shortly before serving, stir in dressing. 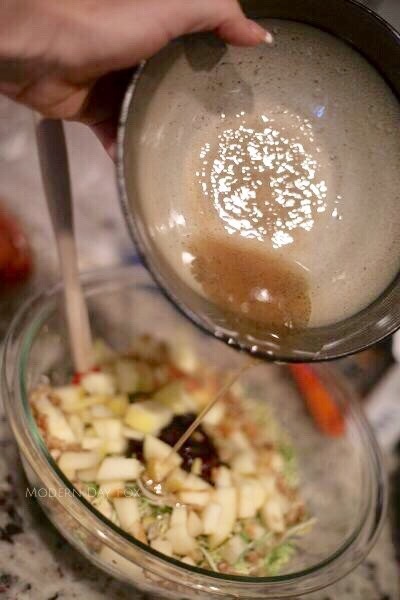 You may want to use your hands to really get the dressing mixed in well. 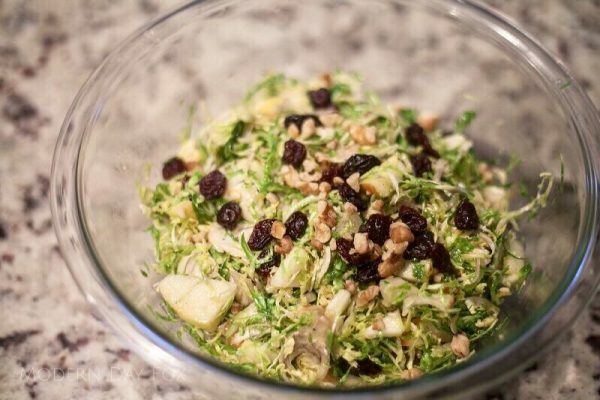 Garnish with additional walnuts and dried cherries or cranberries.